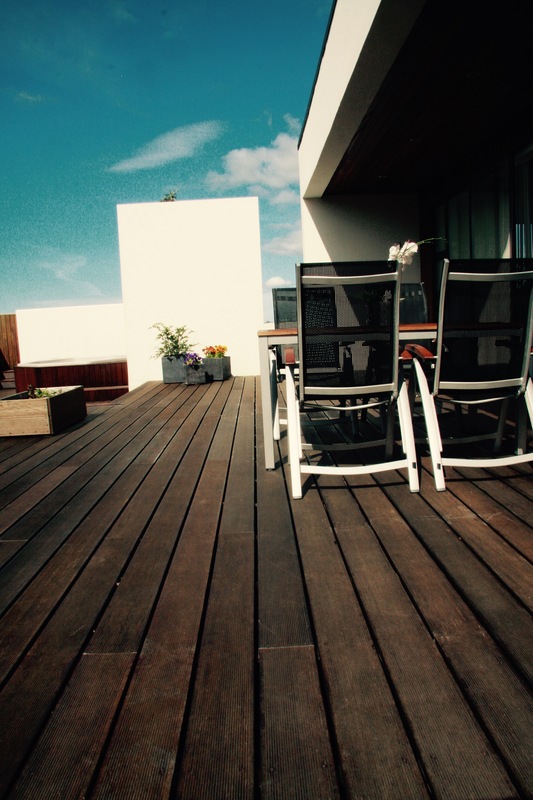 One of the most discussed topics when considering a patio or deck is the longevity of the materials. If it´s one thing many of my clients do not want to do it is to rebuild their deck or patio in 15 to 20 years. 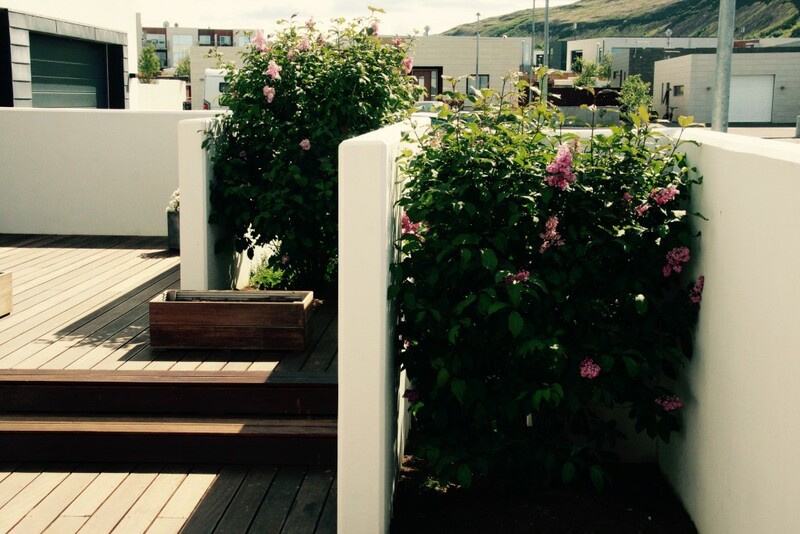 In this Reykjavik suburban front yard, outdoor living is all about enclosed space and durable materials. The wood in this deck is Bankirai, which is an Indonesian hard wood stained with enough colour so that it does not fade in the sun. The sheltering walls around the decks are constructed from concrete and painted white, giving the feeling that the outdoor area is an extension of the house. The walls are also broken up with Syringa shrubs to contrast with the hard surface of the walls. 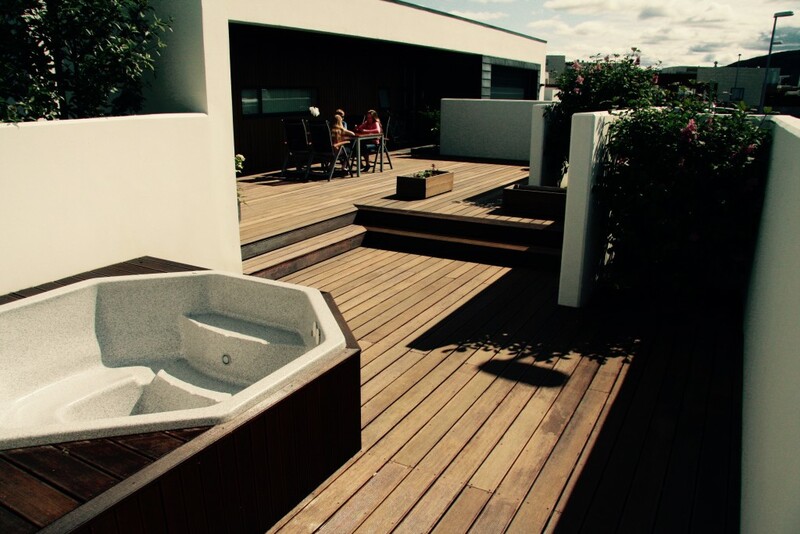 With an abundance of hot water, Reykjavik is the perfect place to have a hot tub in the garden. This one can accommodate 8 people comfortably and up to 12 for those who like to squeeze in. Behind the high walls the tub is totally secluded. 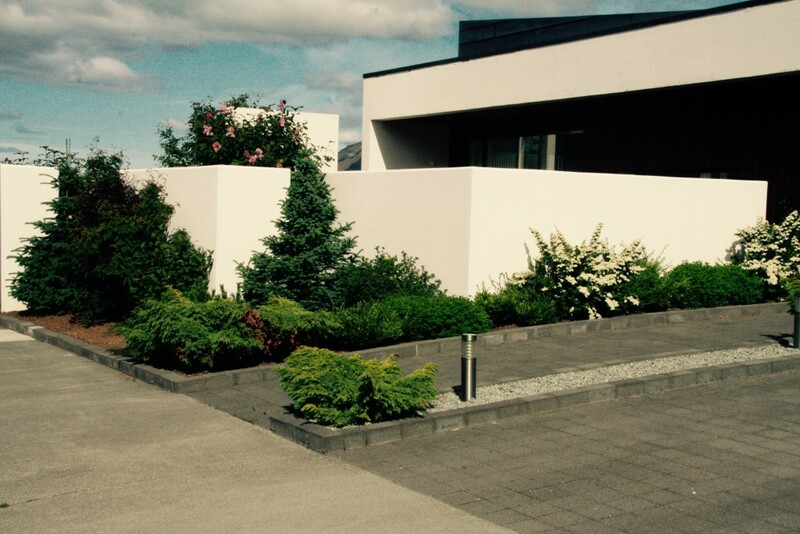 From the outside the walls are partly camouflaged with evergreen shrubs, with the visible part complementing the modern looking bungalow. 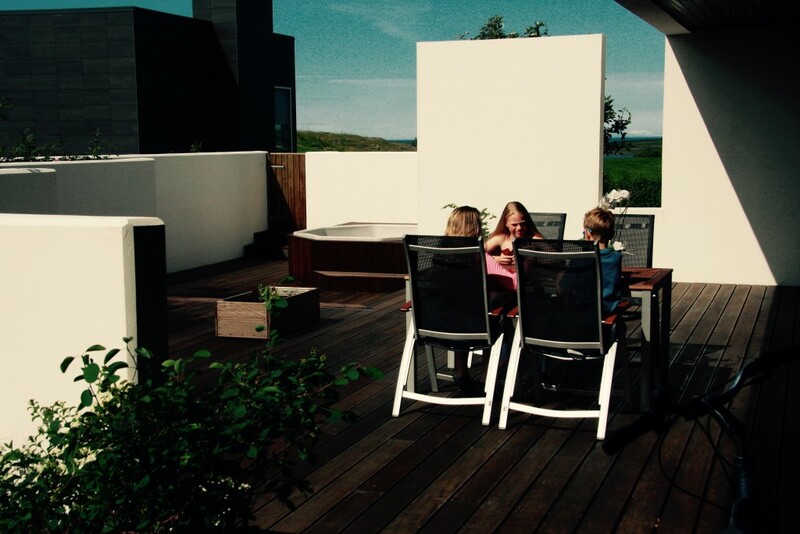 On this sheltered deck having a quiet game of cards is a treat for any generation.